Hello! It’s been a very hectic summer season for RDH, Our coaches are primed, the phones are ringing and we’ve been taking you all around the country for school trips, holidays, conferences, sight-seeing – whatever’s taken your fancy! This month, our coach trip focus is on the gorgeous county of Kent. The next door neighbour to our sunny Sussex, Kent is full of prime coach hire destinations. From the chalky white cliffs of Dover to the historical site of the Battle of Britain, plus stunning castles, cathedrals and a multitude of tip-top cafes, there’s a thousand and one reasons to make the trip across the county border. A short coach drive away, up the M25, Delta Force Paintball is renowned as the funnest, friendliest and paintiest in the business. For a full-throttle family day out, you can do no better – and it’s the perfect location for kids’ and adults’ parties alike! Oh, and the Delta Force is fully safety accredited too, but that’s something only boring grownups ever worry about. One of the stranger destinations for Kent coach hire – Diggerland takes the meaning of theme-park to a whole new depth (pun very much intended). Apparently, you can drive your own JCB, dumper truck and excavators around obstacle courses completing challenges… Perhaps a little bizarre, but we’re feeling competitive and want to go immediately! 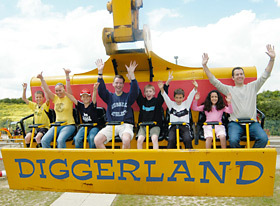 Diggerland is family friendly, the ticket price is all inclusive, and there’s even a cafe on site. Get your hard hats ready! 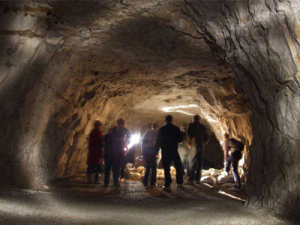 Another trip not for the fainthearted, Chislehurst caves take you on an expedition deep underground… you’ll be needing those hard hats again! 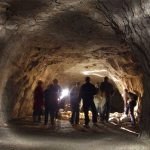 Accompanied by a trusty guide, trek through a labyrinth of tunnels and awe-inspiring caverns, and investigate local ghost stories and folk legends. We suggest you hire a coach to Kent today, especially if you want your next trip to come with a side helping of spooky. 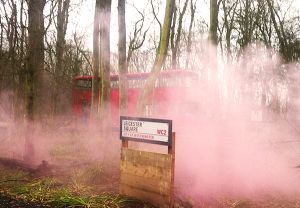 Have you been on a coach trip to Kent recently? Where would you recommend?